VIENNA, June 5. /TASS/. 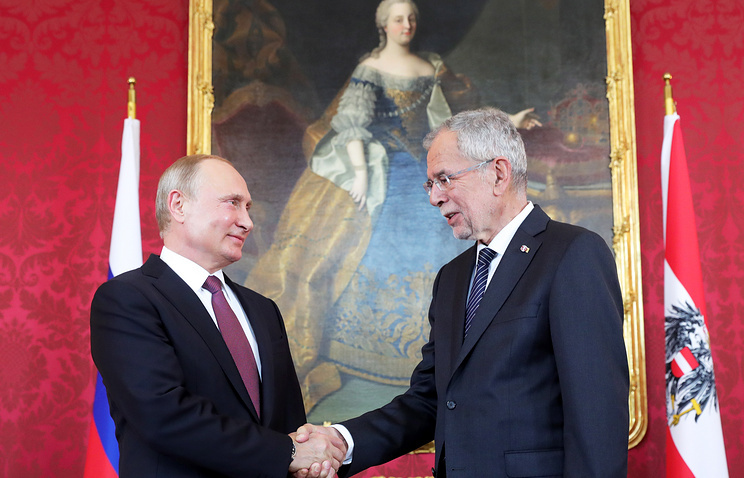 Austria’s President Alexander Van der Bellen said on Tuesday he was glad to welcome Russian President Vladimir Putin in Vienna and they had found common language. He said he was especially glad that Putin’s first visit after inauguration was to Vienna. Van der Bellen also said this was his first meeting with Putin in the capacity of president. Good relations with Russia were not only a political cause for him but they also had a personal aspect because Russia had played an important role in his family’s life. The Austrian president specified that his parents had spoken Russian to each other and he had grown up reading Russian literature. According to Van der Bellen, Russia is part of Europe, and it is impossible to tackle global issues without it. "Dialogue with Russia is very important not only for Austria, but for the EU as well. 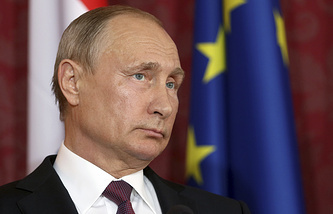 Russia is a real part of Europe <…> Peace throughout Europe is only possible with Russia, and some global issues can only be tackled together with Russia," he noted. According to the Austrian president, during his meeting with Putin they discussed a wide array of issues. "In particular, the situation in the US, Iran and Europe," Van der Bellen added. He pointed to the relevance of Putin’s visit to Austria, which underscores the importance of the 50th anniversary of cooperation between the two countries in the gas sphere.